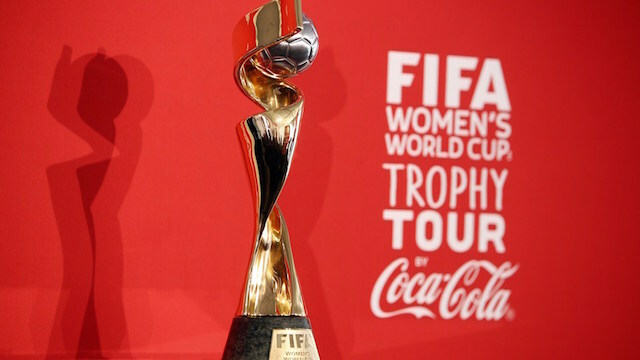 The FIFA Women’s World Cup Coca-Cola Trophy Tour has been making its way across the country and will make its final stop in Metro Vancouver May 29th to May 31st. This exciting family activation builds up to kickoff on June 6th where we’ll host the largest live spectator sporting event in our country’s history. The FIFA Women’s World Cup Trophy Tour by Coca-Cola will unveil the FIFA Women’s World Cup Trophy from Friday, May 29, 2015 until Sunday, May 31, 2015 from 11:00am to 7:00pm at Metropolis at Metrotown (4700 Kingsway, Burnaby). The custom-designed Fan Experience includes interactive activities such as the Coca-Cola Ultimate Goalie, foosball tables, expert freestyle soccer athletes, FIFA locker room and winner’s tunnel leading to the trophy room. All guests will take home a photo of themselves with the FIFA Women’s World Cup trophy, and will cap off their experience with a perfectly served ice-cold Coca-Cola. To celebrate the trophy’s arrival, and the build up to the tournament, I have a prize pack to give away thanks to Coca-Cola. This includes one hat, one scarf and three custom specially designed, limited edition, collectible aluminum bottles of Coca-Cola (for both the winner and a guest). The winner will also receive a pair of tickets to the World Cup match on June 12th as reigning champions Japan take on Cameroon (ticket value $96.50 each). Follow Coca-Cola on Twitter, Instagram and Facebook for more information about this weekend’s trophy tour and fan experience event. I will draw two winners at random from all entries at 12:00pm on Monday, June 1, 2015. Each winner will receive the prize pack and a pair of tickets. Update The winners are Marsalie and J Dyson! I would love to take my daughter. We go to Whitecaps games and she always asks why we can’t watch a girls team. This would be amazing! My little 9 year old soccer daughter would love to go to this with me! I would love to go and experience something this amazing! It would make an amazing birthday gift as well!! Wow this would be so cool! This prize pack is for me! 😉 PS Go Matildas! It would be a one of a kind experience for me! Very cool, would be inspirational for my daughter. wow, would love to win this so we could attend soccer as a family of four for the first time ever! My wife and I would love to win this so we could cheer on Japan!!! I would love to go with my fiancé! We are both European and love soccer! I would love to see that match! Would love to go to a game! What an awesome experience this would be! This would be great to attend! Women inspiring Women! Would love to experience it! What an overall experience this would be ! Plus watching a FIFA game with a cold Coke ….need I say more !!! I’d love to go cheer on WWC! Great prize, I was hoping to take in a few games. Wow this would be stellar! I’ve never been to a soccer game and a World Cup match would be a fantastic first! Great prize! Would love to see this game! Awesome. No better game to watch!! This would be so awesome in so many ways! Thank you for the contest and what a great prize! I and my daughters have been waiting to see the game since last year! Amazing prize package! Would love to experience this! Awesome prize. Really glad that this didn’t end up just an east coast event. I had applied & was accepted to volunteer for FIFA but my health took a turn & I had to very sadly bow out. I am still hoping to be able to see a game. I love women’s footie! Will definitely be following all this on TV , but to see one of the games live would be awesome! My son is a Special Olympics athlete who loves soccer and is a HUGE fan of the Canadian women’s team. He went to the airport to welcome them back after they won the bronze medal. He was beside himself with excitement. Great giveaway! This would be a lot of fun! I would love to take my daughter to watch a game. I can’t wait for the World Cup to start. It’s gonna be exciting!?? Would love to take a young friend to see her first soccer game and her first women’s team. Omg I would love to win tickets to go to a World Cup game! It would be a dream come true! This would be awesome for our little family. would love to watch our canadian women compete! I can’t wait for the FIFA Women’s World Cup! Wow! This would be great! Just in time for my husband’s birthday! Couldn’t go to any venues during the 2010 Olympics because I couldn’t afford it. This would be a memorable event. Wow, very cool! Would love to take my father. Would love to go and cheer on such an exciting match! We would LOVE to go cheer for Team Japan for their winning this trophy just like last time!! Go for the WIN Canada! Prize pack for the very last, first time. Great to see this event in our city. This is a terrific prize. I’d love to watch WWC! Ditto for all the above! This is awesome! So glad that women’s soccer is getting time in the spotlight! Can’t wait to go with my wife! i have to work that day but my brother and my dad would love to go! Pick me! Why are people not more excited about Women’s World Cup?!?!?!? I will be really happy if you pick me! World cup games in Vancouver!! So excited! !